Magnetic jewelry, design your own ring, bracelet or necklace. Loop the chain around your finger, wrist or neck, add one magnet and the chain will wrap itself around the magnet. 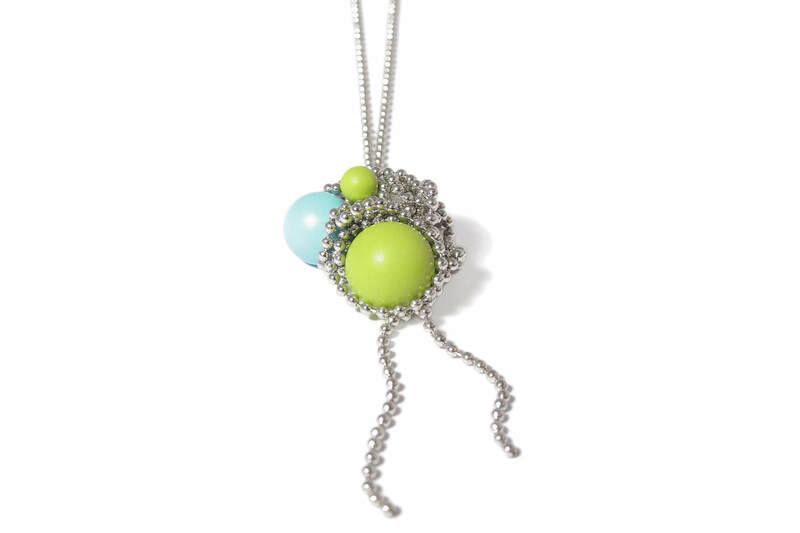 Stainless steel chain, silver plated with colourful laquered balls.